Visit Venice for a weekend which hotel? For visit to Venice which is a good location to stay in Venice Hotel, which is one of the most beautiful and particular cities in the world, where time seems to have stopped. We have collected a practical guide for hotels where to stay in Venice. The monuments and places of interest cover the entire area of Venice in a long and wide way and to visit it all would not suffice a month. Today we will see how to visit trying to seize all the most important beauties to see, not to miss anything of this enchanting old town, this is a guide for Venice hotels. Before you can visit it, Venice must be reached. To do this you must start from Mestre and from here choose one of the many means to reach it, between tram, bus and train . You can then reach Venice by bus or tram . Mestre is dotted with bus stops but for simplicity and practicality I suggest you to go to via Colombo, in the centre of Mestre, where there are trams and buses to Venice. There you can also make tickets, costing €1.50 a way. The media depart every 5-10 minutes and for all the hours detailed I recommend you take a look at the site of the ACTV , company responsible for public transport in Venice. Let's face it, things to see are really boundless . If only we were to dwell in the visit of the religious architecture of Venice , we will certainly lose at least 4 full days. When traveling, however, you have to make some choices, so below you will find all the most beautiful places of interest in Venice , not to be missed for any reason in the world. Collezione's restaurant is open for breakfast, lunch and dinner and is an ideal setting for those who want to stay close to everything the property has to offer. Each evening, guests can wind down in the lounge bar. Guests are also able to try one of the various bars and cafés in the local area. San Marco is the only true square of Venice, as well as the most known and magical place of this beautiful city. Only for visit carefully Piazza San Marco would serve at least one day, given the amount of beauties it encloses. Among them stands the Basilica of San Marco , one of the most beautiful examples of religious architecture in the world, in front of which it is impossible to remain unmoved. The beauty, the elaboration and the breathtaking Majesty of the exterior are not that the preamble of the richness that invests us just entered, characterized by golden mosaics that cover the entire ceiling. Three other things to see in Piazza San Marco are the campanile , which thanks to an elevator allow to reach the summit from which you can enjoy a breathtaking view of the of Venice ; The Tower of the clock , which however beautiful externally conceals the true beauty inside and on its summit, visitable only by booking; And finally the Museo Correr , where you are expecting works of the Bellini and the carpaccio . 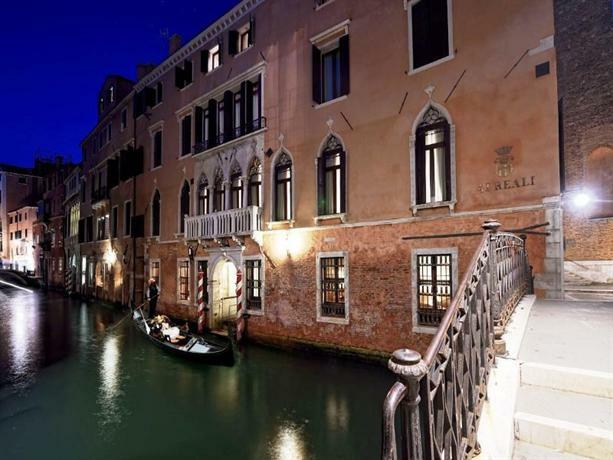 Conveniently located this Venice Hotel Ai Reali - Small Luxury Hotels of the World offers easy access to Venice's main hot spots. This modern hotel is an ideal base for exploring local vineyards as it is situated in the Veneto Wine Region. 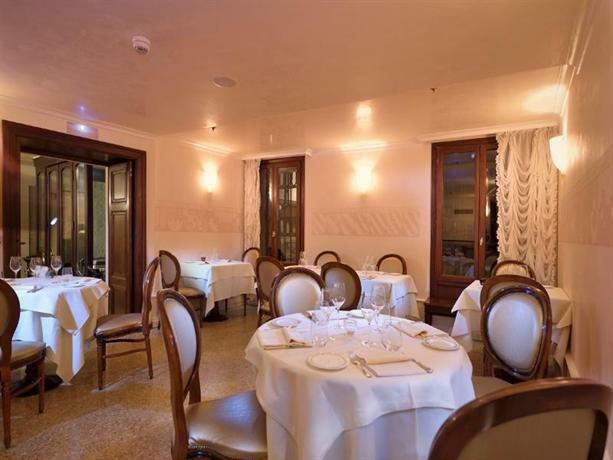 The on-site restaurant serves Italian and international dishes in a sophisticated setting. Each evening, guests are welcome to enjoy a drink in the lounge bar. Guests are also able to try one of the many bars and restaurants in the local area. The Palazzo Ducale is located next to the Basilica of San Marco and is one of the most beautiful places in Venice, within which one could spend whole days. Originally this was called the Customs Palace, being the residence in which the Doge lived, the head of State during the Republic of Venice. External architecture is a pleasant meeting between the Byzantine and the eastern and inside there are the Doge's apartments and the halls where the Venetian political and cultural life took place. Another religious building particularly dear to the city is the Church of Santa Maria della Salute , dedicated to Mary for having freed the city of Venice from the plague. The exterior of this architecture is majestic and imposing and dominates the Grand Canal. Inside the church you will find the works of the Tiziano and the Tintoretto . Venice is the city of bridges and owns well 417. Among all the best known is the Rialto Bridge , one of the most important architectural symbols of all Venice, which was the first bridge to be built to cross the Grand Canal. The bridge represented all the power and the commercial strength of the city and even today you will find some of the most expensive shops in Venice. The bridge overlooks the Grand Canal and if you want you will have the opportunity to make the crossing of the canal in a gondola for a few euros. brings with you a map/maps . For those who move the first steps in Venice it will be really difficult to orientate and a map can help you save hours and hours of walking around narrow streets. Remember the boots, they are fundamental. When there is high water Venice is attached and the lagoon takes over, making it difficult to walk tourists without boots. If you're lucky you won't need it, but better start . in the old town you can not move with cars or private vehicles, so I recommend you use the public transport , or the vaporetto . Sure to visit Venice and to live all the details it would surely be better to always walk around, but to move all day long and wide walking can be very tiring and take away some precious time that, thanks to the vaporetto, you can save yourself. certainly you can not miss the Spritz , not a simple alcoholic beverage but a real tradition, a Venetian rite. My advice? If you have some free time, immerse yourself in a typical Venetian adventure: the Bacaro Tour . Don't you know what it is? It is about turning to Venice with friends stopping in every bacaro, a sort of bar-tavern, and savoring in each of these a primer or a spritz. The Venice Film Festival , characterized by the award of Leone d'oro , one of the most coveted and prestigious film Awards in the world. During the festival you can see your favorite stars parade on the red carpet, attend conferences and previews. An event not to be missed for cinema lovers. The Carnival of Venice , known all over the world, one of the most characteristic and especially spectacular moments of Venice. During the carnival days you can turn to the city encircled by many masks and people in costume and to attend to many different shows, such as the flight of the donkey in St. Mark's Square and the parade of the twelve Marie. the Biennale of Venice , which is divided into biennial art and architecture that are carried out in alternation, one year one and one year the other. This is one of the most prestigious exhibitions in the world with regard to contemporary art and attracts tourists from all over the globe. Many more would be the things to say to visit Venice in the best way, but thanks to this practical guide I am sure that you will experience an incredible journey that will remain in your heart and with guide of Cheap Venice hotels. If you want you can comment below and say your about Venice Hotel in the historic center and what you liked most about Venice! Thanks:) You can follow the site posts on Google Plus here https://plus.google.com/u/0/+BellaItaliaA and on Facebook here https://www.facebook.com/Bella-Italia-103366806477038/. Thanks again for the compliments.